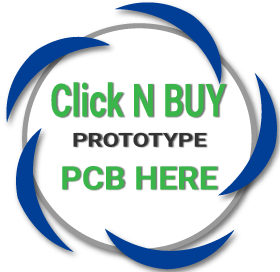 OurPCB is an Australian PCB manufacturer providing both high volume turnkey PCBs and Click N Buy prototype pcbs. Our service is unmatched because we own the PCB manufacturing company in China. This gives us a highly reactive and economic advantage – providing you with overseas pricing, premium quality PCBs, and highly personalised service without the typical communication and delivery problems. This means fewer holdups, fewer errors and someone you can talk to by simply picking up the phone. Manufacturing Standard: IPC-Ⅱ, FR4-TG140, Track Width/Space: ≥4/4mils, Hole Size: ≥0.2mm, Board thickness ≤1.6mm, Finished Copper Thickness: 1OZ, HASL, Lead Free HASL or OSP finishes. Anything out of the scope of the standard specs will incur a marginal price increase. All Prices + GST .. Delivery times add 3 Days ! Good customer service, Dealt with Mark he's right onto it. Quality of board is great also. Fast turnaround, great customer support, good prices. Definitely recommended. Great quality and service, the prices are good and these guy’s go out of their way to help. - Fantastic company to deal with, excellent turn around, always very helpful. OurPCB were fantastic to work with. Very helpful and practical in guiding us through the process and ensuring we got an excellent outcome. Delivered on time and product was as expected. Excellent service, quick turn around and helpful staff. We've been using OurPCB for nearly 10 years now, for both bare PCB and fully assembled and tested PCBA's also. Less problems and fewer holdups for the customer because we investigate & highlight issues on large scale jobs and find solutions fast. Its much easier and faster when your dealing with experts. Our customers reflect this sentiment. We have a loyal following and we work hard to maintain that loyalty. Five star ratings from all our major customers.